Being a sucker for noise sources, I spent some time pondering the circuitry. 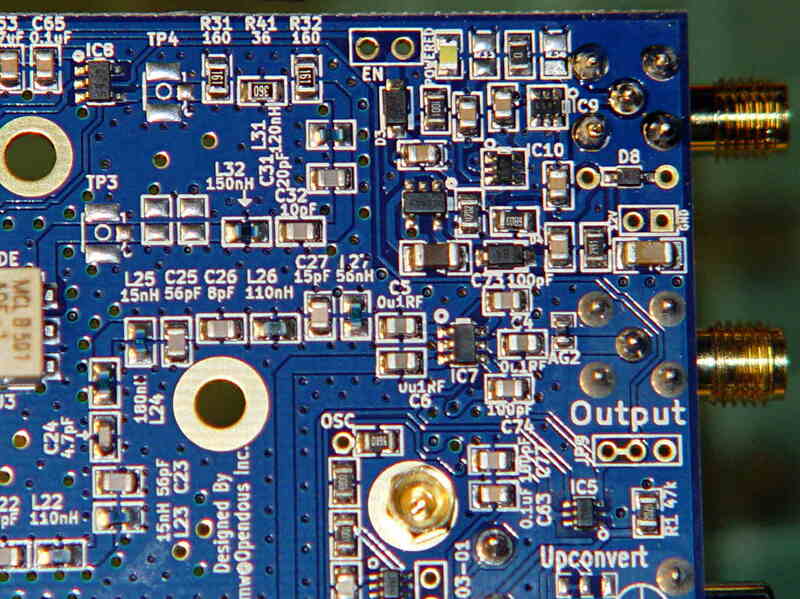 The previous version had a pi bandpass filter in place of the pad and you could certainly repopulate it with two caps and a teeny inductor if you so desired. That will require a new hole in the end plate that I’ll get around to shortly. It also needs an external switch connected to the Enable jumper, but that’s in the nature of fine tuning. This entry was posted on 2016-01-14, 07:52 and is filed under Electronics Workbench. You can follow any responses to this entry through RSS 2.0. Both comments and pings are currently closed. 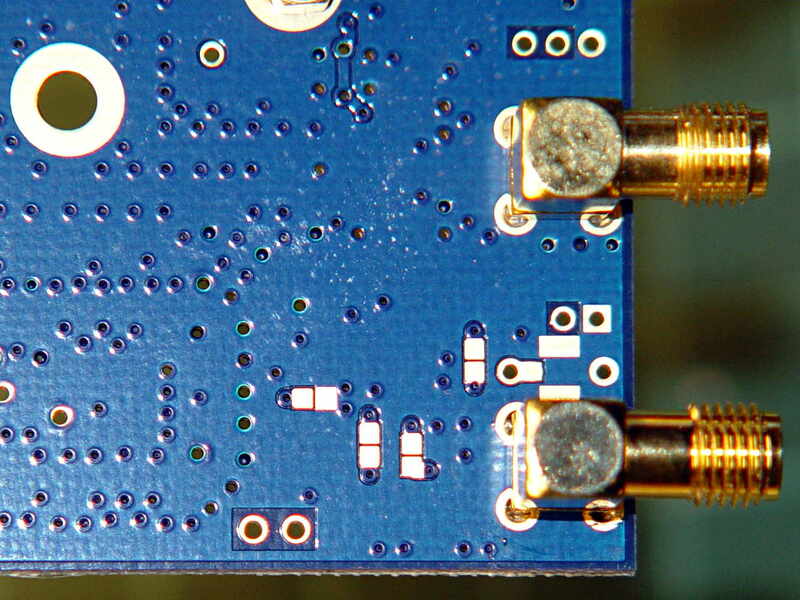 I don’t see a lot of those through-hole SMA connectors these days, usually I come across the end-launch surface mount ones where the board fits between the ground prongs. Did you just happen to have that connector on hand?